• Section C: Questions 13 – 23 (Long-answer I type questions - each carrying 4 marks). • Section D: Questions 24 – 29 (Long-answer II type questions - each carrying 6 marks). Students needed to attempt all the questions. There was no overall choice in the question paper. However, internal choices were present in some questions. 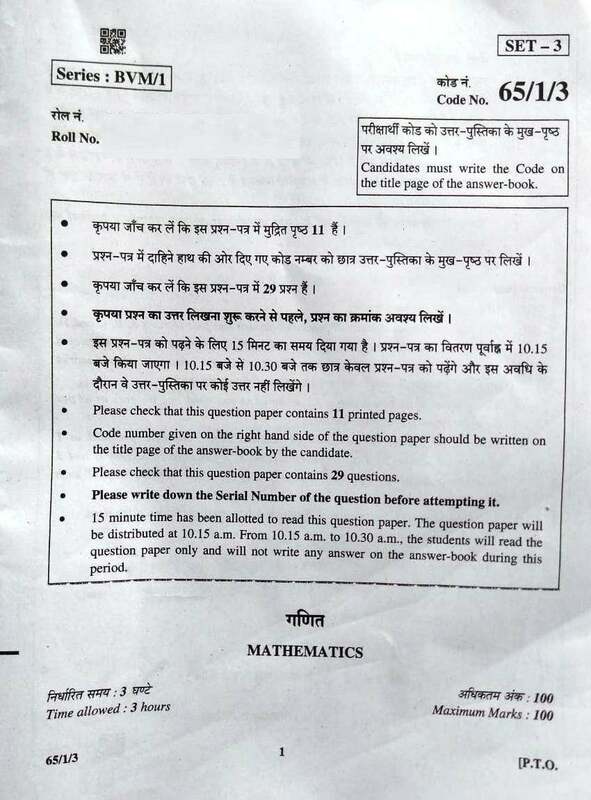 More updates about CBSE Maths paper will be available here shortly.